And it’s right here at Jonathan’s place. He calls it Oktoberfest! Inebriate yourself on the abundance of biblio-blogging joyfulness. Welcome one and all to New Zealand for the October 2010 Biblical Studies Carnival. Don’t worry, sausages have a strong presence this month as rather presciently suggested by the carnival’s rather larger and better lubricated Deutsche namesake. And never in the history of the world have more posts been written by so few people on the offensiveness of the word sausage in academic discourse. Personally I am very grateful for Roland’s fine work in upholding academic freedom. I feel like I just witnessed the Battle of Britain. I’m relatively certain he would appreciate my sharing it so that you can take a look. And am I ever wrong? Nah. What an absurd, absurd thought. Made in China: The Black Death! 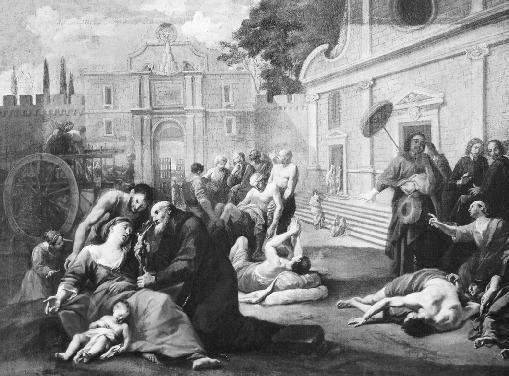 The great waves of plague that twice devastated Europe and changed the course of history had their origins in China, a team of medical geneticists reported Sunday, as did a third plague outbreak that struck less harmfully in the 19th century. And in separate research, a team of biologists reported conclusively this month that the causative agent of the most deadly plague, the Black Death, was the bacterium known as Yersinia pestis. This agent had always been the favored cause, but a vigorous minority of biologists and historians have argued the Black Death differed from modern cases of plague studied in India, and therefore must have had a different cause. Lead painted toys, bad drywall, and harmful bacteria… thanks China! Maybe we should consider refusing Chinese imports… I know for sure we should refuse Chinese plagues. But that’s just common sense. Via Irene Hahn on FB. This spam comment showed up today and I just have to share it. It was extremely interesting for me to read the post. Thanks for it. I like such topics and anything that is connected to them. I definitely want to read a bit more on that site soon. BTW, pretty nice design that blog has, but don’t you think it should be changed once in a few months? This is just so wrong. El Al is simply acting like a thug. An American professor who was invited to a conference in Israel claims she was humiliated by Israeli security personnel at London’s Luton airport on Thursday. Professor Heather Bradshaw, who researches neuroscience at Indiana University, was at Cambridge University when she was invited to Hebrew University in Jerusalem for a conference. “Our guest arrived at Luton airport on Thursday in order to fly to Israel using [Israeli airline] El Al, and she was shocked to discover that straight away, the security personnel treated her as a terror suspect,” said Haifa University professor Arik Rimmerman who submitted a complaint to El Al in her name. “She presented numerous documents indicating the purpose of her visit and her passport – which shows she has already been to Israel several times,” said Rimmerman. “The security personnel treated her and the documents she presented with utter disrespect.” Bradshaw told Haaretz that no one told her what she was suspected of and she wasn’t explained anything. She said that security took her to a separate room and confiscated all of her belongings. She told Haaretz that she sat and waited as every few minutes a different security official came in to question her about the items in her suitcase – which were mostly books. Now we all know which airline to avoid- and which one deserves to be shunned by all people of good will. Such treatment of people for no good cause whatsoever is just thug-ish. With thanks to Antonio Lombatti for telling me about it. If you haven’t made your acquiantance with the Post Reformation Digital Library yet, you should. It contains so many important documents from the Reformation and following that there’s just nothing better on or offline. Calvins works? Yup. 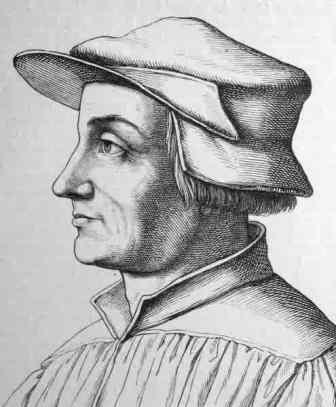 Zwingli? Of course. Luther? Yes. Melanchthon? Naturally. And even the more obscure sorts! You couldn’t find everything they have at the PRDL at any major University Research Library if you tried. No library in the world has as complete a collection. Thank God above for their presence on the web- I do nearly daily. The news media has been too busy talking about politics and elections and Lindsey Lohan’s latest fiascos to mention the passing of the great J. Alberto Soggin. So I’m very grateful to Antonio Lombatti for telling me about this site which includes both a brief obituary and a picture. Martedì 26 ottobre 2010, dopo una lunga malattia, è mancato Jan Alberto Soggin, già professore ordinario di Lingua e letteratura ebraica presso l’ Università “La Sapienza” e della Facoltà Valdese di Roma. Fecondo studioso della storia dell’epoca biblica, autore di importanti introduzioni all’Antico Testamento e di vari commentari a libri biblici, nonché di centinaia di articoli in italiano, francese, inglese e tedesco, il prof. Soggin è stato socio fondatore dell’Associazione Italiana per lo studio del Giudaismo (AISG), sul cui sito è possibile trovare una bibliografia aggiornata fino al 2000 delle opere http://www.aisg.it, dell’associazione Biblia, nonchè membro del comitato di redazione di Vetus Testamentum e di Henoch. Alberto Soggin, nato a Lucca il 10 marzo 1926, è stato uno studioso conosciuto ed apprezzato in tutto il mondo. Il suo campo di indagine peculiare era lo studio dell’Antico Testamento; le sue opere più famose sono le varie edizioni de L’introduzione all’Antico Testamento, e de La Storia di Israele dagli inizi alla rivolta di Bar Kokhba, tradotte in varie lingue. È stato il primo italiano a ricevere nel 2007 la Burkitt Medal, il prestigioso premio della British Academy per gli studiosi che si sono distinti nell’ambito delle ricerche bibliche. Evidently Chris thought he was still in Britain, and didn’t realize he was driving the wrong way! Oh Chris… take a cab! Those Are the Same Reasons Why I Don’t Observe Halloween! More or less… But I’d add one to Brian’s fine list (a list, I have to tell you, which is just -fantastic). #11- It’s a stupid holiday. Go see Brian’s 10 reasons why he doesn’t celebrate the stupid holiday. Yes, three of them are pretty good! The rest… blah. Hamid Karzai is Nothing but a Drug Lord. Why Are We Paying Him? Instead of funding him, we should be removing him. The Afghan president calls a large-scale operation in which the U.S. and Russia took part a violation of sovereignty, even though Afghan police participated in the action near the Pakistan border. That’s because he’s a drug lord and he wants his part of the product’s profit. … The outburst marked the latest in a series of tense confrontations between the Afghan leader and his Western backers. It also signaled a degree of disarray within the Karzai administration, because Afghan counter-narcotics police took part in the operation, playing what U.S. officials described as the lead role. We are backing a totally depraved fool. Typical US Government ineptitude. Or as I like to call it- Second Reformation Day Initiated by the Third Reformer, Luther, Who Wasn’t the First Reformer (That Was Zwingli, Already in 1515) or the Brightest Reformer (That Was Calvin). But that’s an awfully long title and it hasn’t really caught on. Though in order to be historically accurate, it should. At any rate- Happy Day to all those children of the Reformers!